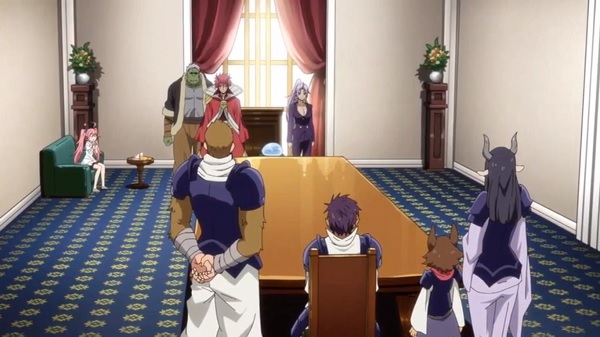 On this episode, some demon lord underlings visited Rimuru's town. Later, two parties from two kingdoms visit the town. Okay, I'm starting to really like Millim because she's cute and very adorable. Also, it was awesome to see even more kingdom building relations getting established. Other than that, it's nice to see more details about the demon lords. Now what's going to be the next serious plot? I'll be looking forward to it. Overall, more cool kingdom building relations and some enjoyable moments. Conclusion: More cool kingdom building relations and some enjoyable moments.